In a spectacular interview with Sportsnet’s Christine Simpson, San Jose Sharks defenseman opens up about his exit from the Ottawa Senators and what exactly went on between him and management over the last few months. Karlsson confirms that a deal was extremely close at the trade deadline—though doesn’t give any hint on who would have acquired him—and discusses the contract offer that the Senators did make when he became eligible for an extension. Yeah they did [make an offer]. They did. I don’t think it ever got to the point where I had an option to sign anything, it never even got close to that. And even if I would have signed, they probably would have traded me anyway and I would have been somewhere else. The Senators traded Karlsson, who was their captain at the time, on September 13th just as training camp was set to open and claimed that it was necessary for the rebuild that they are beginning. 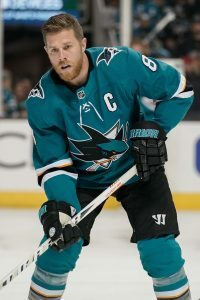 The team received a large package of assets including Chris Tierney and Dylan DeMelo, while the Sharks were happy to add Karlsson to a defense corps that already included Brent Burns and Marc-Edouard Vlasic. Karlsson also spoke a little bit on the off-ice drama between his family and that of former teammate Mike Hoffman, explaining that no one else in the dressing room knew about the problems between them. Senators GM Pierre Dorion had claimed that the dressing room was “broken” at times last season, something that also needed to be addressed this summer. Though the trade took quite a long time to actually be finalized, it seems as though—from Karlsson’s point of view at least—the Senators had made the decision to move on from their franchise defenseman months ago. A two-time Norris Trophy winner and one of the most dynamic players to ever play for Ottawa, he is still set to become an unrestricted free agent next offseason and could be out of the Senators’ price range altogether. Karlsson has been rumored to be after a Drew Doughty-like extension for his next deal, a contract that is worth $88MM over eight seasons. The Sharks can’t actually sign him to an eight-year deal until after this trade deadline given the current CBA, though they can certainly discuss it with him or ink a seven-year pact.